Call To Order. The meeting was called to order at 6:15pm. B. MCITE '07 Registration Station. A. On Registration Fee of MCITE '07 Working Committee. The body decided that the MCITE '07 working committee be free of charge from the registration fee of the conference. The following working committee members were identified : Dr Gamboa, Ms Ordoyo, Mr Masangkay, Mr Maranon, Mr Flores, Mr. Barrios, Dr. Casquejo, Ms Dimacali, Ms Bohol, Ms Ibarra, Ms Garde, Prof Calag and Prof Gamot. 1. Station I : The participant will proceed to the PSITE XI Treasurer and pay his/her conference registration fee. The treasurer will collect P1,300.00 if the participant is an active PSITE member, P1,800.00 otherwise. The participant must be able to show a proof that he/she is an active PSITE member if he/she is to pay only P1,300.00. The participant then proceeds to station II. 2. Station II : The participant must show their receipt to the station II personnel. Upon positive validation of their receipt, the participant will provide their signature, contact number, email address, and school in the registration attendance sheet. The participant then proceeds to station III. 3. Station III : The participant must show their receipt to the station III personnel. Upon positive validation of their receipt, the participant will be given the conference ID, kit and meal stub. The participant may now proceed to the conference area. C. On MCITE '07. The number of confirmed participants as of September 13, 2007, 630pm is 59. 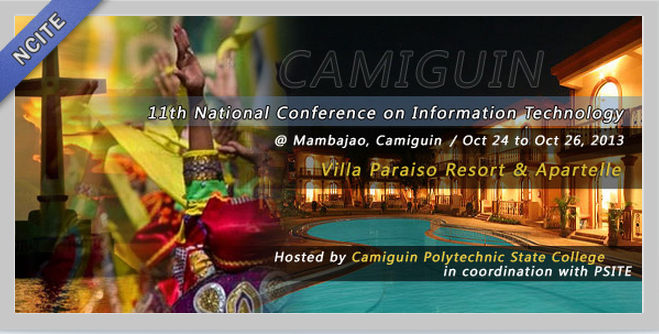 Dr Gamboa reported that majority of the registrants who confirmed for the conference are from outside Region XI. Dr Gamboa further reported that he has canvassed a sling bag worth P60 to be included in the conference kit. He will be ordering 120 bags for the conference. Dr Gamboa informed the body that Mr Flores has submitted a tshirt design and has canvassed for its printing. The minimum price per tshirt with the design on it is P120. According to Dr Gamboa, the price was too expensive. The tshirt printing expense must not exceed P100 (tshirt and printing). He has canvassed a P50 worth JBL tshirt and a P25 rubberized printing fee for a simple text design. The tshirt printing is yet to be finalized. The body identified two officers-of-the day for each day on sept 20 and 21, 2007. The OD in the morning of September 20 will be Ms Maureen Mamilic while Ms Joy Cenita will be the OD in the afternoon. The OD in the morning September 21 will be Ms Sharon Ordoyo while Ms Riza Garde will be the OD in the afternoon. Mr Diuyan declined the slot to present during the MCITE '07. Mr Jayag will replace him instead. PLDT has already confirmed their sponsorship for the event. They will give samsonite bags and some freebies for the event. 3M, on the other hand, will give P5000.00 in cash and P5,000.00 worth of items for raffle. Microsoft has already confirmed their sponsorship of P30,000 in cash for the event. They only need 1 hour of presentation during the conference proper. Dr Gamboa will follow up with the Globe sponsorship. Microsoft will be conducting a one-day event for K12 faculty members on September 22, 2007. The event requires no registration fee. It will be held at Ateneo de Davao University, F711 and F712. 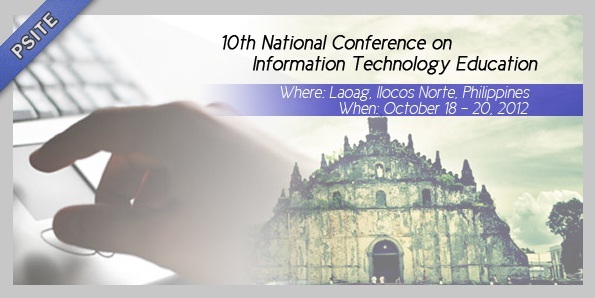 Ms Ibarra questioned that the conference programme did not include CDITE in its cover page as one of the organizing groups. She further added that the programme did not also include the names of the CDITE officers. Dr Gamboa responded that the necessary addition will be incorporated in the final printing of the programme. Dr Gamboa informed the body that certificates of institutional and individual membership will be distributed as a part of the programme of activities during the conference. Tarpaulin will be used as backdrop design for the stage/front area of the conference venue. Screens will be put up on each side of the stage/front area. Mr Maranon informed Ms Ordoyo that plants may be provided for the venue. Ms Ordoyo will just have to inform Mr Maranon of the needed number of plants. The body suggested that fruits be served to the participants. Dr Gamboa responded that fruits will be provided subject to the availability of funds. Prof Gamot informed Dr Gamboa that the registration personnel will need ballpens and pentel pens. Ms Ibarra offered to give the ballpens and pentel pens of CDITE XI for MCITE '07. Dr Gamboa sought the help of the working committee in the burning of the CDs to be distributed during the event. 1. On MICT Job Fair. MICT will conduct a job fair at the NCCC Mall of Davao. MICT is soliciting PSITE and CDITE support for the event. 2. On PSITE's financial obiligation to CDITE. PSITE is yet to pay CDITE a borrowed amount of P12, 000.00. 3. On PSITE's Next Meeting. The MCITE '07 working committee will meet at Ateneo de Davao University, F213 on September 19, 2007, 3pm. 4. On IT Week. IT week will be on December 6-7, 2007. The programming contest and IT Quiz bowl will be on the December 6 and 7, respectively. JMC will tentatively house the student congress during the IT week. Adjournment. There being no other matters to discuss, the meeting was adjourned at 8:00pm.